Walk the steps of some of the most famous characters of Roman history: Pompeii, Julius Cesar, Cleopatra, Cicero, St Peter the Apostle and St Paul. 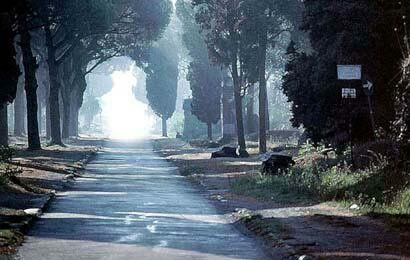 The Appian Way, the oldest of all Roman Roads has also been the burial site of the Romans: pagan and Christian alike. Visit the oldest Christian Catacombs in Rome and learn about how the small Christian community grew into the powerful Christian Church in Rome. Stop on the way back to Rome center at Aventine Hill to visit the ancient Church of St Saba and take panoramic pictures of Rome.